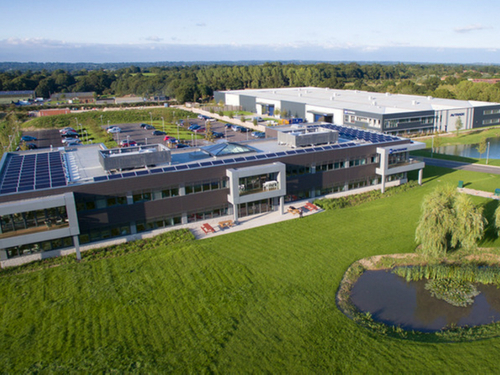 Avtrade is the world’s largest independent aircraft component provider with its global headquarters located in Sayers Common, West Sussex. 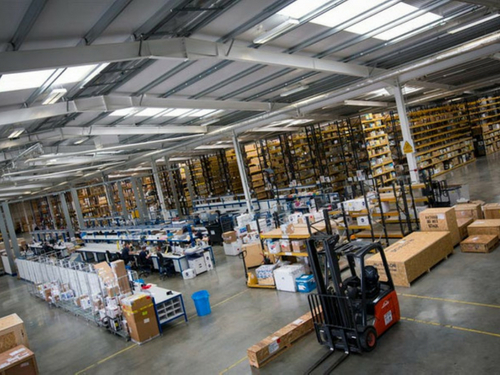 The global company’s 115,000 sq ft UK Warehouse and Logistics Hub opened in 2014 to keep pace with phenomenal growth and the need to hold high volumes of stock, which enables it to send around 5,000 aircraft parts to over 800 airlines. Following the warehouse project, the Avtrade Global Head Office opened in 2015, to house the majority of the 350+ UK-based staff. Two CHP units and two gas fired boilers to provide low temperature hot water (LTHW) which acts as the primary heat source for the space and generation of domestic hot water for the entire building. Heating within the warehouse via LTHW wall mounted heaters. The warehouse is naturally ventilated via roof mounted wind catchers and automatic opening louvres were installed in the side wall of the warehouse façade. Office areas mechanically ventilated via heat recovery units. A comfort cooling system installed to the office part of the warehouse building utilising a VRV system of fan coil units and external condensers. New domestic water services feeding the toilet and tea areas. Full integrated BMS system installed to control all mechanical services. LTHW heating extended into the new building and BMS controls installed to control the systems. Two gas fired boilers installed to provide low temperature hot water (LTHW). These act as the primary heat source for the space and generate domestic hot water for the entire building. A mechanical supply and extract systems installed to provide tempered fresh air within the office areas. Main heat source for the offices via a comfort cooling VRV system of fan coil units and external condensers. Warehouse & Logistics hub which would house an even greater range of aircraft components and services for the global aviation market. Again, Paine Manwaring’s team of heating engineers, plumbers and electricians were on hand to provide the following services. Avtrade Phase 3 – New Warehouse and offices. Extension of the heating mains from the existing plant room and provision of LTHW to act as the primary heat source and generate domestic hot water for the new building. A comfort cooling system installed in the office part of the warehouse building utilising a VRV system of fan coil units and external condensers. Integrated BMS system installed to control all mechanical services. Paine Manwaring’s team of heating engineers, plumbers and electricians have very much enjoyed working with Avtrade over the years and we look forward to working with the company on further projects in the future.